Every once in a while I come home from work and there is a package sitting there beside the garage door with the return address of Maine on it. A smile grows across my face I know that it is a special treat from Lyn’s sister, Mimi. This time is was chili packed with just the right amount of freezer bags keeping it a perfect temp and ready to heat up. I asked her for the recipe and as she says it kind of hard I just sort of throw it together but here ya go! So I give you a totally buildable recipe that I know I have enjoyed for years. What about some of that spinage bread?? Take some pictures while you make it and I’ll post with your permission ofcourse. Heat in pan, add Old El Paso Chili mix, spice with cumin, chili powder, onion & garlic power, basil, cilantro salt & pepper to taste. 1 can Stewarts shelled beans, 1 can Bush’s black beans, 1 can Bush’s dark red kidney beans. In frying pan brown hamburg, season with salt & Weber’s Grill Master’s Hamburg seasoning to taste. Strain and add to chili pot. Add 1 can Hunt’s tomato paste to chili w/ little water if chili too thick. Add some corn to it if you like, as always season to taste with spices & hot sauce. An aromatic spice with a distinctive bitter flavor and strong, warm aroma due to its abundant oil content. Cumin “seeds” are actually the small dried fruit of an annual plant in the parsley family. Native to the Mediterranean, cumin is hotter to the taste, lighter in color, and larger than caraway, another spice it’s sometimes confused with. Sold whole or ground, the seeds come in three colors: amber, white or black. Amber is most widely available, but the black has such a complex flavor it should not be substituted for the other two. Cumin is a popular ingredient in Middle Eastern, Asian, Mediterranean and Mexican cuisines, and is one of the main ingredients in curry powder. 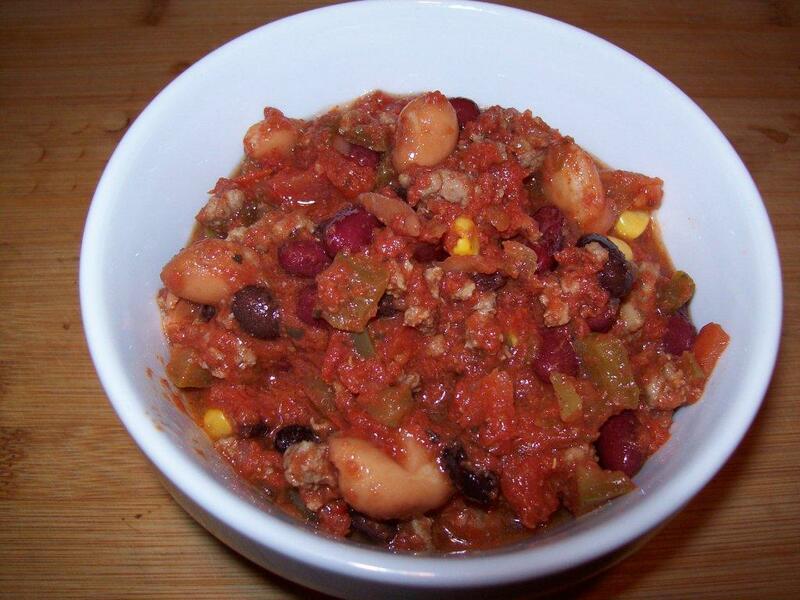 This entry was posted in Beef, Information, Meat, Soups and tagged beans, Chili, Cumin, Hamburg, hot sauce, Maine. Bookmark the permalink.